Are Newer Drugs Safer during Pregnancy Than Older Drugs? There are new drugs released all the time. The Food and Drug Administration does not require formal pregnancy testing on drugs before approval is granted. When in doubt, the drug is placed in category B or C, which means the drug has not been thoroughly tested. New drugs are rarely, if ever, placed in category A because there is just no way of telling the possible side effects or birth defects without time and history. So, are new drugs safer than older drugs or is it the other way around? Most new drugs simply don’t have the history to be proven completely safe for use during pregnancy, but sometimes the benefits of the drug far outweigh the risks to the fetus. For instance, many new HIV drugs can reduce levels of the virus in the blood to the point where it is barely visible on HIV blood tests, but some of these drugs are relatively new in terms of usage history and there is no pregnancy history to speak of. Using HIV drugs during pregnancy can reduce the possibility of passing the virus on to the infant during pregnancy and delivery. On the other hand, other drug categories are not quite as black and white. Some new blood thinners, for instance, work better than older LMW heparins, but LMW heparins have a long history of use during pregnancy and breastfeeding, so the older drugs are considered safer than new drugs, in some cases. Before taking any drug during pregnancy, have a talk with your physician about benefits and risks. Tell the doctor every medication, supplements and herbal remedy you are taking. Even include herbal teas because some of the ingredients are commonly used in herbal supplements. 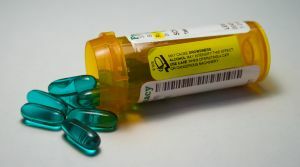 Missing something as simple as an allergy medication you’ve taken for years and cleared with your allergist can cause increased risk of pregnancy complications and fetal birth defects because that drug – though safe – could interact with a new prescription. Old versus new – the battle will continue to rage on and change with each passing year because new drugs eventually become old drugs and newer drugs hit the market all over again. Previous: Is a Vaginal Birth Really Important to Mother/Child Bond?